Having spent most of my life overseas, I often find myself connecting quickly and deeply with others who grew up abroad, and this was definitely the case when I met Nomin! 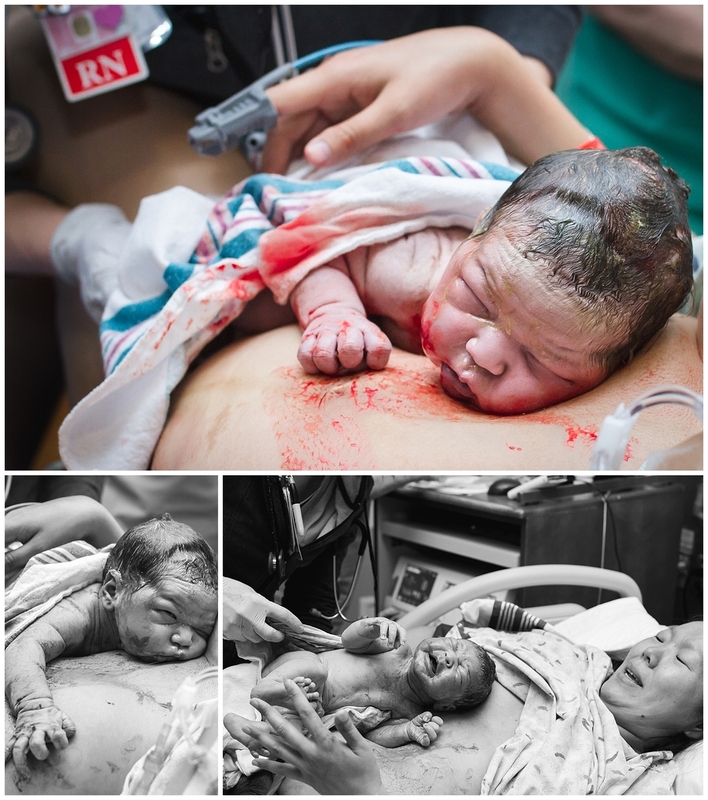 While her sweet son, Naran, played quietly nearby, Nomin shared the story of her first birth, a rather traumatic experience that ended in c-section. After careful research, she had decided to pursue a VBAC with the midwives at Denver Health and to hire a doula (me!) who could help support her through the process. During our two prenatal meetings we discussed her desires for this birth in depth and explored evidence based information, options and comfort measures. The 40 week mark came and passed with no sign of baby making her appearance. Finally, as she was nearing 41 weeks, Nomin began experience prodromal labor which lasted for several days. On Thursday at 41 weeks, 1 day, contractions steadily became more consistent, progressing to every ten minutes by the end of the day. Around 7pm Nomin decided to power walk to the gym and soon after her contractions increased to every 6-9 minutes. We kept in touch as things continued to intensify and I met them at the hospital early on Friday morning. Contractions continued coming strong and steady throughout the day, but progress was slow. Nomin was experiencing intense back labor, and we tried many position changes, massage, tub, and the Miles Circuit to try to help baby assume a better position. Nomin’s husband, Greg, an Doctor of Chinese medicine and acupuncturist was an amazing support throughout the entire process. His knowledge and skill in Chinese medicine and alternative pain relief methods proved extremely valuable and it was beautiful to observe their loving relationship during such a difficult labor. Around 5pm, after being stalled at 6cm, Nomin opted for an epidural and was able to get some much needed rest! When she woke up from a nap at 2am, Nomin began using the peanut ball to help baby get into a better position and was able to go back to sleep again for several hours. During that time, baby got into position and she dilated fairly quickly to 9cm. After pushing for just under an hour, beautiful baby girl Sayana made her appearance! She was born with her little hand next to her face. The midwives and nurses at Denver Health were amazing and Nomin was elated to have her successful VBAC. She worked so hard for it, and absolutely deserved this amazing birth!